As we conclude our Summer Series Loving Life, we wrap up with two things to consider as we endeavor to live the kind of life Jesus intended us to live. Do you remember when you first learned to drive? In the beginning, how many people tried to maneuver the gas and brake pedals with two feet ... all at the same time? Obviously trying to hit the gas and the brake at the same time makes for a rough ride. There are times to apply the brake and times for the gas, and our spiritual lives can be much the same. There are things we need to increase and things we need to decrease in order to make the most of out lives in Christ. Money has an influential power over people. How many people have you met whose emotions rise and fall with the current contents of their bank account? Jesus actually had a lot to say about money and He used money as an illustration more than any other object in the New Testament. Since money is so influential in the lives of man, it stands to reason that how we see money and manage our money might also determine whether or not we are Loving Life. Here are a few thoughts on what the Bible has to say about money. Continuing from last week’s message, “It’s the Little Things,” this week, we take a deeper look on the concept of Teaming Up. Have you ever struggled with a sense of isolation and not being connected to people? In the book of Ecclesiastes 4:9-12 four areas of life are mentioned where we need friends. This message looks at some thoughts on each of those 4 areas. It is amazing how some of life’s biggest struggles can be birthed out of the little things not going as they should. What would our lives look like if we gave attention to some key areas of “little things” that are keeping us from Loving Life in the big things? Have you ever wondered what it takes to begin living in the fullness of the promises of God? Visiting pastor Roy Stephenson (from Canada) lays out a clear call to break forth and give all that we are and everything we have to the purposes of God. The future fulfillment of God's vision for this church depends upon each of us and the commitment of our lives to Him and His Kingdom. Life isn't about our struggle to be like Jesus, but simply about bearing fruit in the natural course of events. God is faithfully, and in every season of life, working to perfect us so that we look more and more like Him in the things we do and in the way we act. This message provides insight as to how to position ourselves for "all of these things" to be added to us. This week we cover the remaining four (4) Motivational Gifts. Knowing your motivational gifts helps you know your differences from others, how to relate to others, and realize that God is bigger than you are. This is not an exhaustive list, but take a moment and see if you notice yourself in any of these lists. Knowing your motivational gifts helps you know your differences from others, how to relate to others, and realize that God is bigger than you are. This week we look at three (3) of the seven (7) Motivational Gifts. This is not an exhaustive list on all the characteristics for each of the gifts, but take a moment and see if you notice yourself in any of the lists for prophet/perceiver, server, and teacher. The Bible has three different lists relating to personal giftings; it talks about Five-Fold Gifts, Spiritual Gifts, and Motivational Gifts. The Motivational Gifts are God’s hard-wiring or life filter through which each one of us sees life. When we know and operate in the strengths of our Motivational Gifts, God can really use us most effectively in the church. As a Christian, it is easy to get confused and frustrated about how to walk into God's destiny for your life. Destiny has very little, if anything, to do with a destination; i.e., where I end up or what I end up with in life. God's destiny for us is achieved by knowing who God is and understanding who we are in Christ. As our understanding of these two facets of life grow, God miraculously moves us into our destiny in Him. Have you ever wondered what it takes to have a full and meaningful life? The only way to know and experience that fullness is to live a life with the right background music, one full of Jesus. Matthew 5, sometimes called the Beatitudes, provides some insight into what living a life full of Jesus looks like. It may be quite different from what many might expect. Note: This message opens with an introduction to a new ministry called LifeUpgrade. It is absolutely amazing how much our lives are impacted and shaped by what we think. Whatever we fill our mind with influences our heart, and our heart influences what we speak and how we act. If we are consumed with living our own lives, we will find ourselves frustrated and empty. If we focus on the life Jesus has for us, our lives will take on a fullness and satisfaction we would never know otherwise. 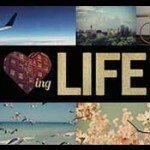 This summer’s Loving Life series is all about embracing the abundant life Jesus intended us to have (John 10:10). God is our designer and creator, and as such He has the perfect instruction manual for how our lives should operate. This message provides two key starting points for Loving Life.